The component-based approach attempts to remedy the shortcomings of the object approach. This approach calls for the construction of the software around reusable components, ideally as a black boxes. This idea is essentially borrowed from other technological fields such as mechanical engineering or electronic engineering. In these areas, the practice of building objects from reusable components , is established long ago. 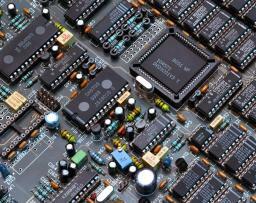 The modern electronic boards are constructed by assembling basic components: The Microchips. The manufacturers of these cards, often use the same chips for different needs and without having to know the details of what they contain. They choose them from catalogs, according to specifications provided by their manufacturers. It's important to note that this has not always been the case. Like software developers, electronics counterparts, were often forced to repeat, for new needs, what they had done it before.